Welcome! Andover Museum Loft Singers are a community choir from Andover, UK. 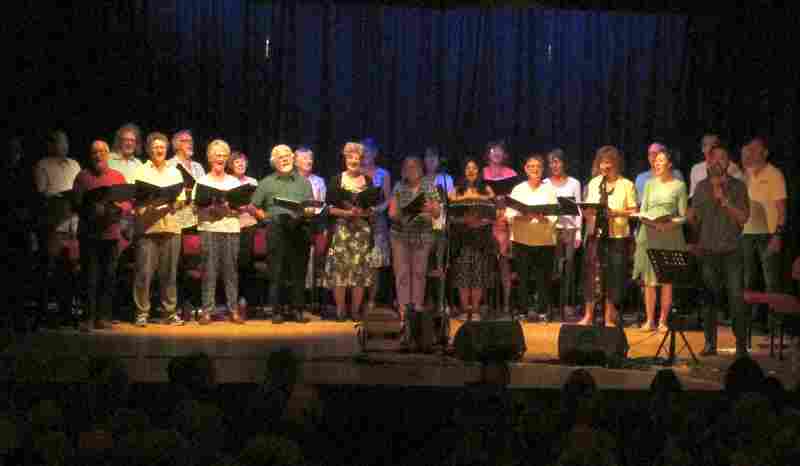 We sing unaccompanied harmony arrangements of folk music, local music from Hampshire and from the rest of the UK and other countries and continents. This Andover Museum Loft Singers promotional video presents the choir performing under the direction of Paul Sartin. Miners Lifeguard - Trad. arr: Paul Sartin. Please visit our Sounds page to hear the complete recordings of all these songs. 54 singers attended a collaborative workshop between the AMLS and the B-Naturals in Whitchurch on Saturday 9th February where a full day of effort saw the teaching and then recording of four songs. All arranged by the B-Naturals they included ‘Oh You Pretty Things – David Bowie; I Am The Walrus – John Lennon; Surfer Girl – Brian Wilson and The American Stranger (a new song for the B-Naturals). Those that attended this very successful, enjoyable day ranged from far and wide – Alton to Frome and Oxfordshire were finally regaled to a very irreverent version of the Elvis Presley hit Blue Bijou – the tale of an aerial toupee – I Blew By You - which caused much merriment. Sincere thanks to those that attended and the B-Naturals themselves for making the day so much fun. 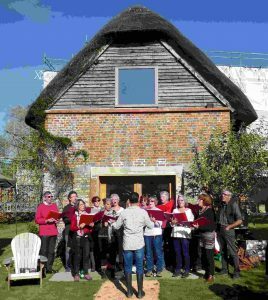 By invitation of the organisers, Andover Museum Loft Singers was the first choir ever to perform at the annual Stroud Wassail on Saturday, 12th January 2019. We performed a selection of songs from our repertoire in two very different locations - St Laurence Church and outside the Subscription Rooms. 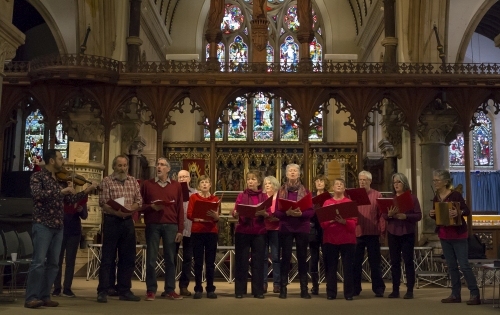 Here we are pictured performing in St Laurence Church, accompanied by Paul Sartin and Gill Corbett. The choir perfomances were well received and a great day was had by all. For a video please click the link below. 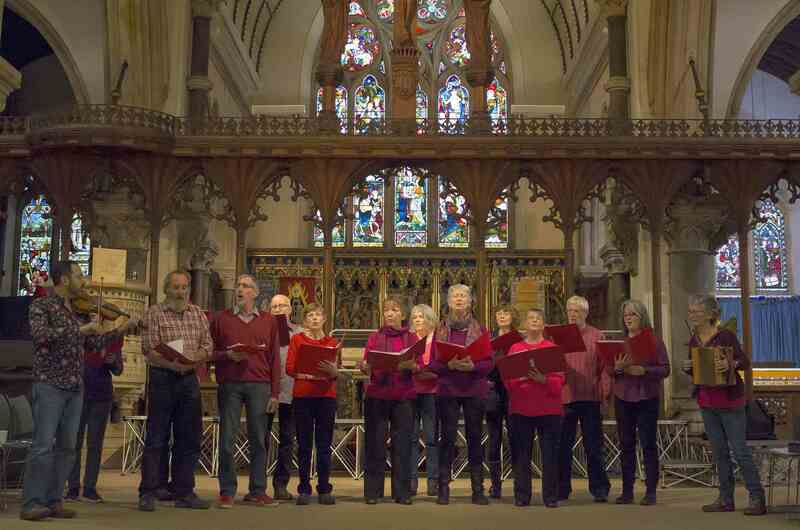 Andover Museum Loft Singers sang Carols and Christmas songs in several Andover hostelries on the evening of 20th December 2018 and collected £221.04. We would like to thank the customers of The White Hart Hotel, The Redbridge and The John Russell Fox for their generosity. Particular thanks goes to The Lardicake for generously hosting our after sing party and for their contributions. 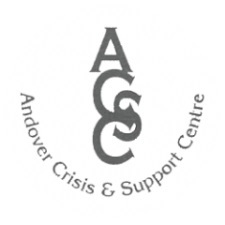 We are pleased to be able to hand over the magnificent sum of £322.76 to the Andover Crisis and Support Centre.